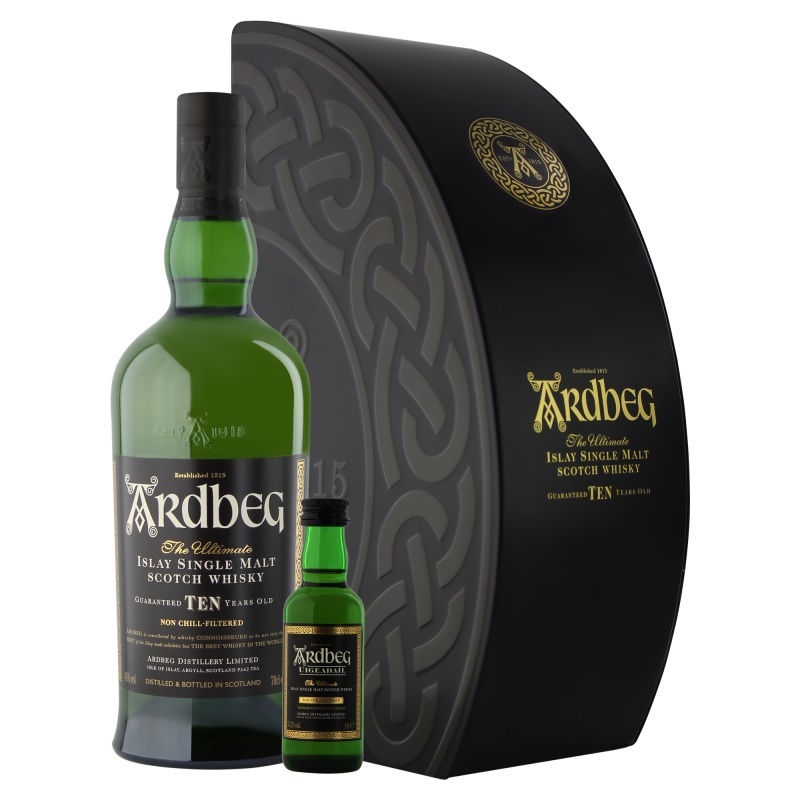 Give the gift of delicious Ardbeg, A very special whisky gift set containing 1 bottle of the iconic 10 year old single malt Scottish whisky and a little 5cl of the Uigedail miniature displayed in a high quality gift tin. A perfect gift set for anyone that loves Arbeg whisky who would love to expand their range and knowledge to the complex Uigeadail. The Uigedail is rich and weighty with heady and smoky aromatics, this expression of Ardbeg is both intensely flavoured and perfectly integrated.